Fantastic Beasts and Where to Find Them/Illustr. Ed. Celebrate 20 years of Harry Potter magic! This glorious new edition of Newt Scamander's Fantastic Beasts and Where to Find Them (considered a classic throughout the wizarding world) features an extraordinary array of magical creatures, from Acromantula to Yeti via ten different breeds of dragon - all beautifully illustrated in full colour by the brilliantly inventive, Greenaway Medal shortlisted Olivia Lomenech Gill. Famed Magizoologist Newt Scamander's years of adventure and exploration have yielded a work of unparalleled importance, admired by scholars, devoured by young witches and wizards, and even made available to Muggles in the early years of this century. With this dazzling illustrated edition, readers can explore the magical fauna of five continents from the comfort of their own armchairs. Fantastic Beasts and Where to Find Them is essential reading at Hogwarts. 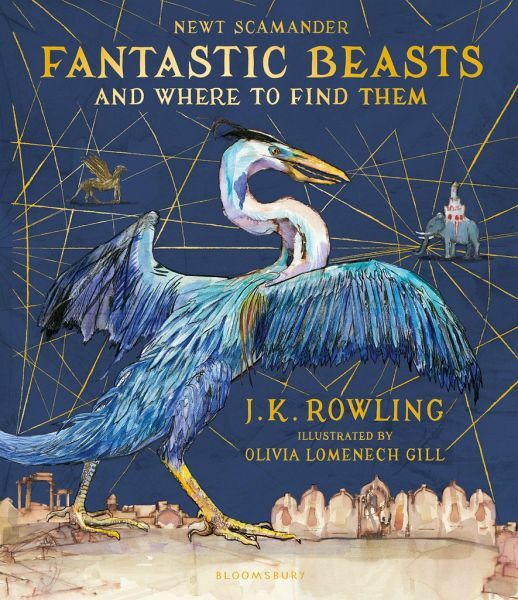 This new edition features the fully updated 2017 text - which includes new profiles of six magnificent beasts that inhabit North America and a new foreword by J.K. Rowling, writing as Newt Scamander.